First product announcement of the year: Slrmagic 50mm f/0.95 M-mount (tested on GH2). 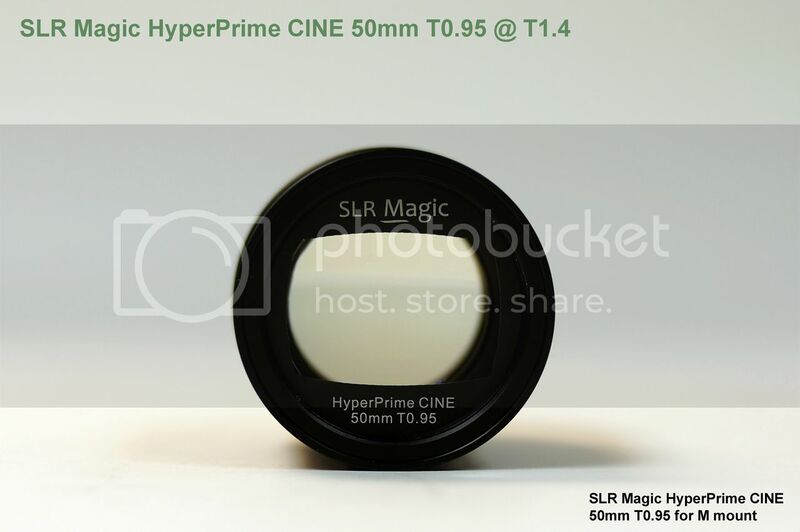 Exactly on Midnight SLRmagic officially announced their new top quality Hyper Prime 50mm f/0.95 Cine M-mount Cine lens. Even if it’s not a native Micro Four Thirds lens you can use it via M to m43 adapter (Click here to see them on eBay). Unlike the Noktor this is a high quality lens made specially for people looking for superb bokeh. It’s actually five times cheaper than the Leica Noctilux 50mm f/0.95 and we have been told that it will have almost the same image quality (of course we have to see real tests to see if they are claiming the truth). Our friend Seb Farges tested the new lens on the Panasonic GH2. After the video you can read the full lens press release and specs. World Premiere !!! SLR Magic HyperPrime CINE T0.95 / 50mm Part I : The Night Tests from Seb Farges on Vimeo. Hong Kong, China (January 1, 2012) – SLR Magic opens up the M mount lens lineup with the new SLR Magic HyperPrime CINE 50mm T0.95 ultra fast normal focal length lens. The world’s fastest interchangeable camera lens with an image circle beyond full frame coverage in its focal length, the SLR Magic HyperPrime CINE 50mm T0.95 concept lens will be publicly available for experience testing in September 2012 at Photokina in Cologne, Germany. The field of view of this new HyperPrime Lens corresponds to a 50mm lens in 35mm format. It is optimized to be shot wide open. This ultra fast normal focal length prime lens opens up many new creative composition opportunities, particularly in the fields of available light, in portrait, and street cinematography. Built with modern non aspherical lens technology, the lens excels at defocusing busy backgrounds at T0.95. A minimum focus distance of 0.70m allows for artistic bokeh effect. A fast maximum aperture of T0.95 makes the SLR Magic HyperPrime CINE 50mm T0.95 ideal for available-light photography. Our highest priority in the development of all HyperPrime lenses is to fulfill the demands of professional cinematographers and photographers. The design and build of the SLR Magic HyperPrime CINE 50mm T0.95 is solid and reliable. The SLR Magic HyperPrime CINE 50mm T0.95, a concept lens, will be available from authorized SLR Magic dealers by the end of September 2012. Lens Type: Fast normal lens with seven Tantalum glass elements to ensure superior cinematic performance. Filter Mount: 62mm; filter mount does not rotate. next post: Woodford loses his battle. Fuji, Sony or Panasonic ready to join Olympus.